Indium Corporation will feature its reinforced indium and solder alloy fabrications, InFORMS®, at IMAPS 49th International Symposium on Microelectronics (IMAPS 2016 - Packaging the Connected World), Oct. 10-13, in Pasadena, Calif.
InFORMS are reinforced solder preforms that maintain a constant bondline thickness, thus significantly improving thermal cycling reliability. This is a key requirement in many applications, including die-attach and baseplate-attach for IGBTs. InFORMS provide engineers with an enhanced material for the development of new, or the improvement of existing, applications. 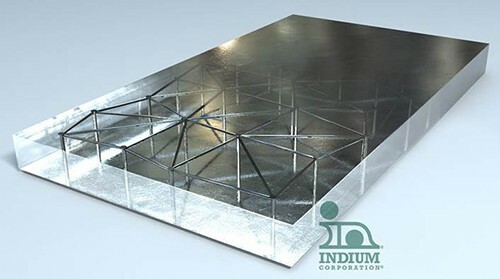 For more information about InFORMS, visit www.indium.com/inform or visit Indium Corporation at booth #710.